I am not very punctual about remembering birthdays. you just have to celebrate your birthday all month long. This sign is for my dad. He’s got a lot of little grand-kids that will agree with these words. your birthday isn’t over til’ the middle girl sends a gift. Love the sign! Happy belated to your father, I'm sure he loves the sign also! See…I knew extending the b-day was a good thing. 🙂 Thanks G! 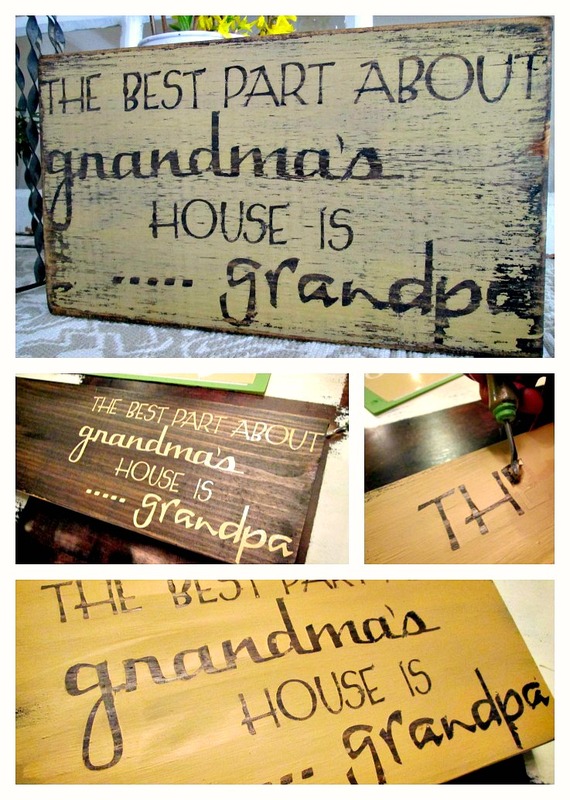 That is so sweet–my Dad would love this! What a sweet gift Holly! What a great sign and a lovely gift for your Dad, Holly! I'm sure he loves it! What a cute sign! You look like your mom. I see you've got your parents in on the masquerade masks too! Hope your dad had a great birthday. I am SO the worst about Birthday Presents! I still miss my granddaddy! Aren't they so wonderful?? ?